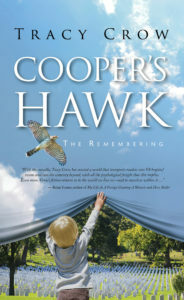 Tracy’s sixth book in seven years, Cooper’s Hawk: The Remembering, releases Jan. 20 from PipeVine Press, the new traditional imprint of 30-year-old custom publisher, Warren Publishing, located in Charlotte, North Carolina. Book clubs are likely to find the reading guide and Q/A interview with Tracy at the end of the book especially helpful for their readers. At the Cooper VA Hospital, tensions surface after the arrival of a rage-filled war hero and his troubled son and the mental breakdown of everyone’s favorite nurse. 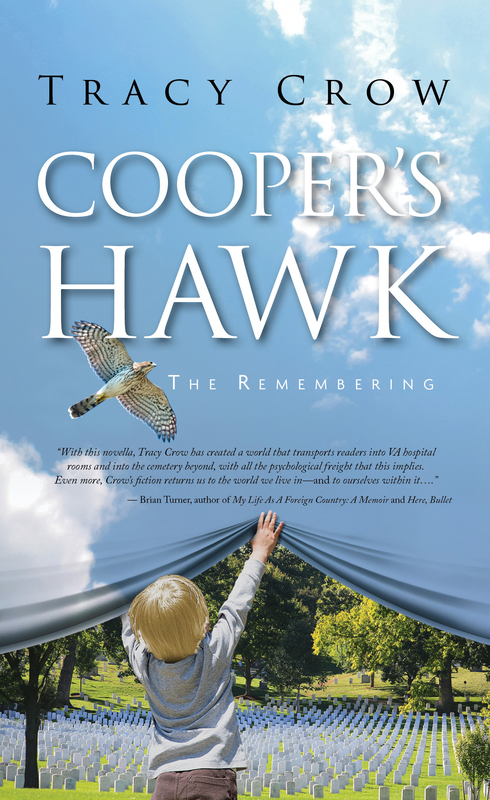 Drawing on his upbringing with a shaman grandfather, Willis, the new-hire janitor and Vietnam veteran with one arm, relies on lessons from the natural world—and a special hawk—to steer the boy and Phoebe, in fact everyone at the Cooper VA, toward the most benevolent outcome. 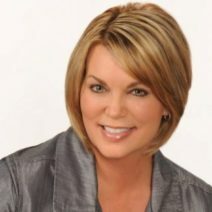 PipeVine has also agreed to publish Tracy’s next three books — the prequel and sequel to Cooper’s Hawk, and a spirituality-based memoir. What’s your COOPER’S HAWK “aha” moment? *March 1-3: MilSpeak Foundation/ON POINT Warriors Writing Workshop sponsored by Wounded Warrior Project of Ohio and Michigan.